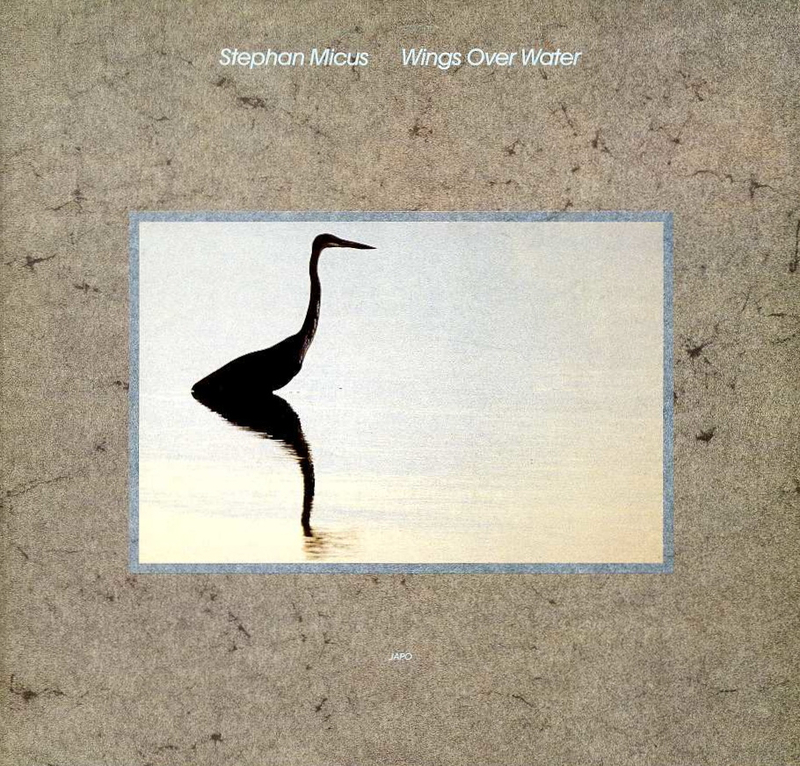 Wings Over Water is the third of five JAPO outings—the most by any artist on ECM’s sister label—by Stephan Micus. Featuring a rare turn by the intrepid multi-instrumentalist on that most quotidian tool of accompaniment, the guitar, it spins a web of enchantment across six numbered parts. Part 1 uses the guitar to anchor that very web, its strings flexing before a soul-piercing tongue. The ney (an end-blown flute of the Middle East featured prominently in Micus’s work across the decades) is the breath behind it, a servant of the molecules swimming through its porous tunnel. These encirclings open a space into which the listener might step. Thus surrounded in the comfort of these repetitions, s/he may find that the ney’s improvisational flights have similarly taken solace within. Every rhythmic lapse is a micro-phase of organic awareness, attuned to said listener, to the perfect imperfection of things, which like the bird framed in the album cover photograph is austere yet warped in reflection. Gazing and gazed upon, it is self-sufficient, fragile as wind. Part 2 gives insight into Micus’s unique approach to the sarangi, which in taking on such percussive function provides undulating waves for Micus’s voice and stretches arcs of flight over a ceramic pulse of flowerpots. Part 3 rises from the mountains through the rusticity of a Spanish guitar and holds in its hands a dimly lit star, hewn in mineral and soil. The guitar becomes an agent of solace, its sound a meditation on meditation—two mirrors held soul’s distance apart and compounded by the interest of infinity. Flowerpots lend their pacing to the skeleton, marrying Sephardic and Southeast Asian influences by way of natural ligaments. The piece ends as it begins: in hermetic garments, tattered yet resilient to the elements, in fact becoming an element unto itself. Part 4 is a spiritually unbound ney solo, an avian dream that remembers when sustenance was easier to come by, when one could freely roam the air currents to find all that was needed. Part 5 is an open letter written in the language of flowerpots to the very cosmos. Its paths are as vast and unknowable as Nazca lines, a runway for the ether, embodied in ney and mapped by less visible instruments. Beats rise above the waterline, the breath an unbroken promise of sailing. Part 6 unfolds, like Part 3, with hints of Andalusian soil. Joining Spanish guitar with Bavarian zither, it unleashes sweeping gardens of profusion, which then quiet to support the lilt of a suling (Indonesian bamboo ring flute) and with it sink into the ocean of forgetting. An expressly visual journey that skips across rice paddies, this music moves as water strider on pond, and leaves in its wake the promise of a good harvest. It is a vestibule from the rain, a haven where bodies stretch in anticipation of sun.